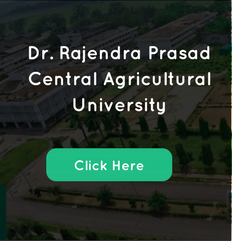 B.Sc (Agriculture/Horticulture/Forestry/ Sericulture / B.Sc. (Hons) Agriculture/ Horticulture / Agriculture Marketing & Co-operation/Sericulture/Commercial Agriculture Business Management/Forestry/ B.Tech. Agriculture Engineering /Veterinary. Science/ Dairy Science/ Fisheries Science/Food Science & Technology /B. Tech. Biotechnology. Allocation of seats as per Govt. of India reservation policy is as follows for the academic year.